[Special Promotion] Hands On Nail Salon has a long, sixteen-year history of service in Omotesando. The owner, Yumi Inoue, opened Hands-On in May of 2000, after heading a nail art school previously in Shibuya. With its classic and refined designs Hands On has enjoyed wide success and popularity. The studio’s nail designs have appeared on television and in magazines and commercials featuring luxury jewelry or accessories, such as the Canon EOSM10 ad campaign. Hands On has been commissioned by media companies for on-site manicures in production studios. Just last November Hands On moved its third location to a new space in the fashionable Omotesando/Minami-Aoyama area. 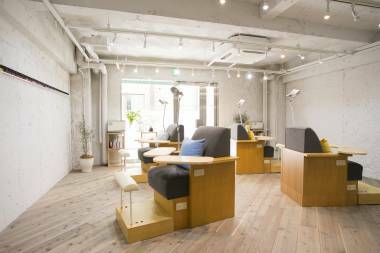 In addition to its stylish, calm atmosphere, the Omotesando branch offers private rooms and a wide variety of nail art options. Hands On salon is a rare find among Tokyo’s beauty parlors for its offering of Shellac, a type of nail manicure that has longer durability and wear than a normal manicure, but is easier to take off than a gel manicure, which frequently requires a file and a lot of time. The Shellac manicure technique was popular overseas, and Hands On is one of the salons offering it within Japan. Aside from being easier to take off than a gel manicure, the Shellac manicure lasts for 14 days and is suitable for the busy work schedule of modern Tokyo-ites. In keeping with their concern for the care of the natural nail, the Shellac method is also popular at Hands On because there is no damage to the nail with long-term use. The Hands On philosophy is to make sure the clients have as relaxing a time in their salon as they would in their own home. Besides merely creating beautiful designs, Hands On also emphasizes naturally healthy skin and circulation to boost nail health. The owner, Yumi Inoue, has created her own unique line of Hands On products including cuticle oil, hand and foot cream, and a mist for hands and feet. “Beautiful nails start from beautiful hands” is the motto. 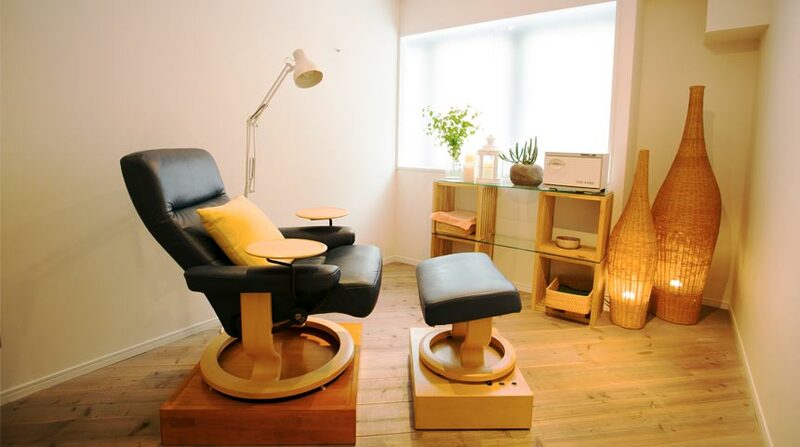 “We focus on the care of the natural nail,” one of their stylists tells Metropolis. Alongside their manicures the stylists offer foot care and nail care, and provide massages for the hand, face, and leg muscles, such as a calf massage. Inoue also emphasizes the agelessness of beautiful nails, having produced a book encouraging women over sixty to wear bold red colors on their nails as well. In addition to Shellac, the salon offers many brands such as Chanel, Dior, Nars, and Louboutin. First-time visitors who mention they were referred by Metropolis will get a ¥2000 discount on the Shellac manicure. Open Tue-Sun, closed Mon. 1st floor Minamiaoyama Residence, 6-15-13 Minamiaoyama, Minato-ku. hands-on-nails.com.